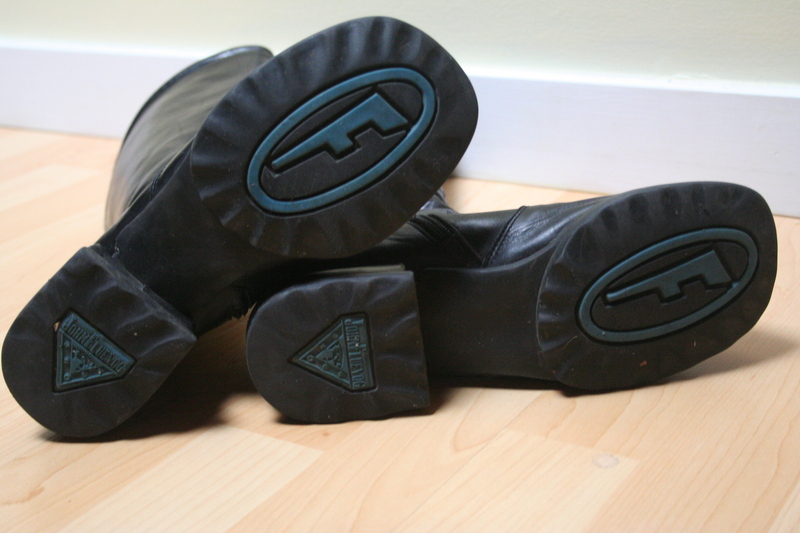 Second Hand Fluevog | Whatcha Find? More Fluevogs! One of our favorite things to find. 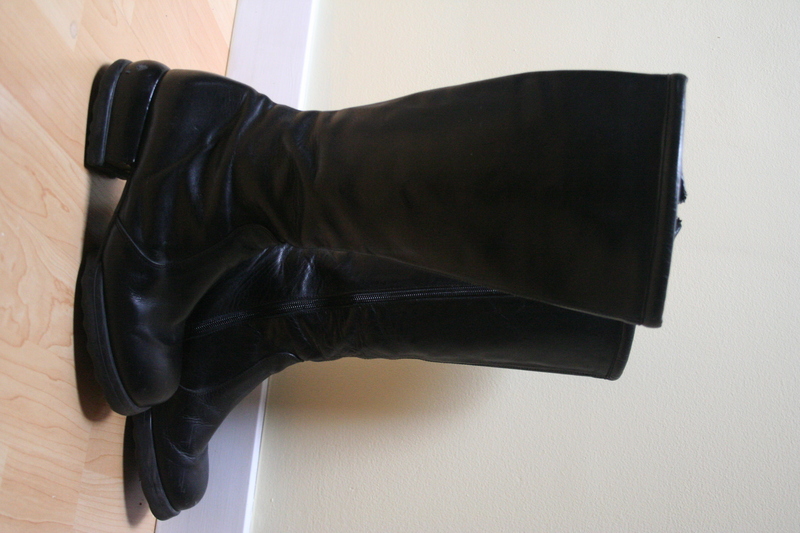 These great black boots have the signature John Fluevog rubber ‘F sole’. We paid $14.99. 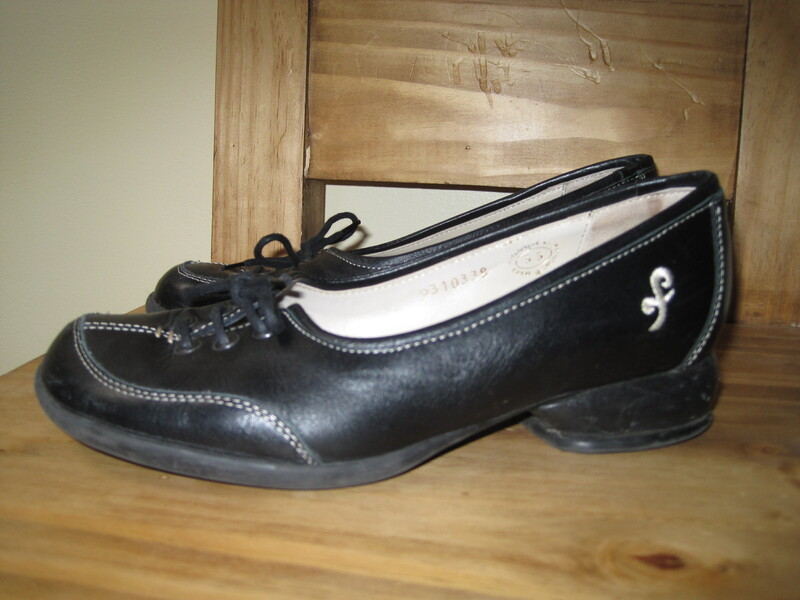 Here are another pair of Fluevog’s that we got recently. These comfortable looking flats were only $9. Again, we are always amazed at the number of Fluevog’s that we come across! I supposed living close to Vancouver increases our chances. 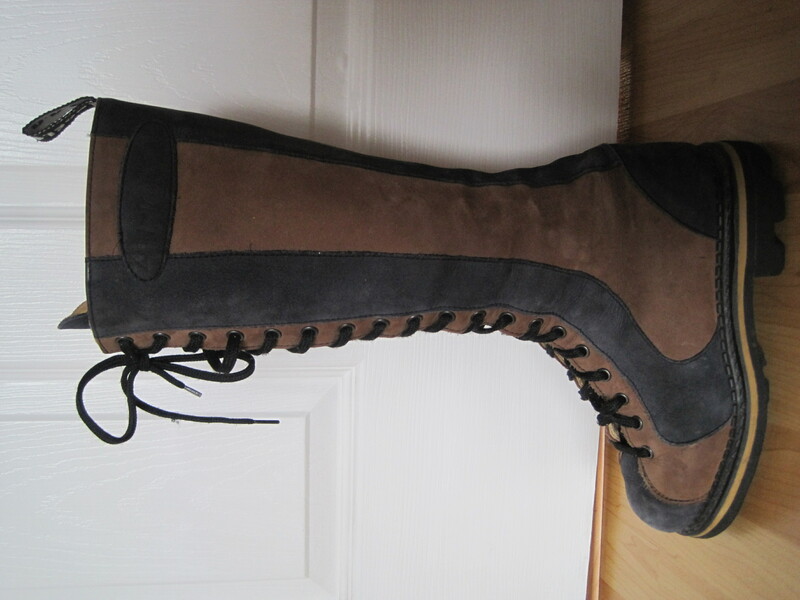 These Fluevog boots were $20 and are practically new. 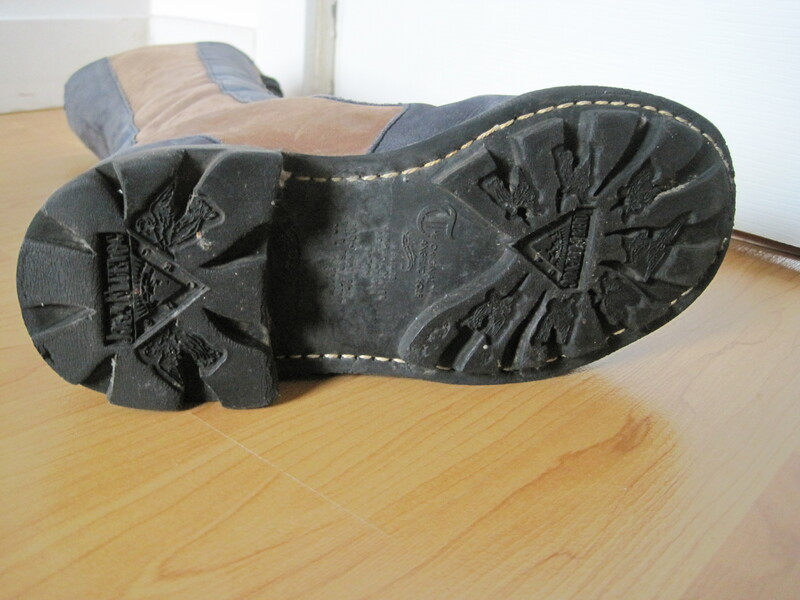 Who can reist a 19 hole boot that resists Satan? ‘Walk in peace’.